We are proud to announce new integrations to myphoner this month. Not only did we renew our Zapier integration to build on our new and improved API, we also introduced custom integrations with Gmail and Outlook 365. In addition to all smaller improvements, the Zapier app has improved the data structure that’s returned from myphoner to avoid unfortunate scenarios in which the system information may clash with lead data and create confusion. The new Zapier app also features a new search facility to allow you to search leads across multiple lists. The new Zapier app is already the default, so any new zaps you make will use our new API. If you have old zaps you will notice that the myphoner app have added “legacy” to it’s name. Those zaps will continue to work, but we recommend updating them to use the new myphoner app (without “legacy” in the name). Connecting your email account with myphoner. 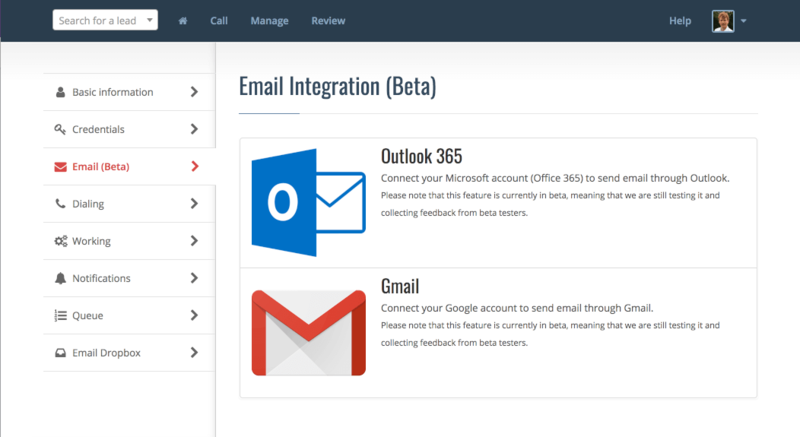 If you are using Gmail or Outlook 365 for sending email, you can now connect your email account to myphoner and send follow up emails direcly from myphoner. Your emails will send through your Gmail or Outlook 365 and automatically appear in the activity feed.